The skiing season is now upon us. We as physiotherapists inevitably find this a busy time of year for us. Skiing is a wonderful sport and hobby but unfortunately there is an element of danger and carelessness associated with this sport. Why do we tend to see many injuries? Sometimes injuries are unavoidable but so many of them are. 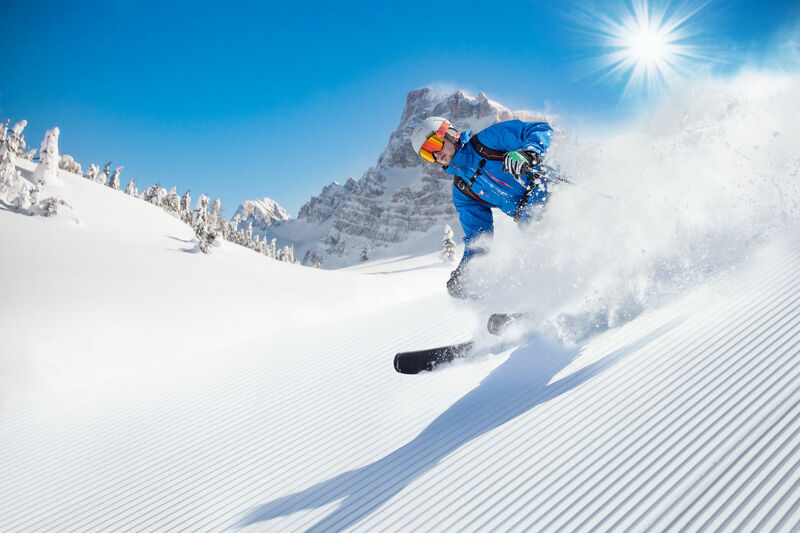 We find that most of our patients sustain their injury on their first day of skiing. Our advice would be to not ski on the first day that you arrive, if you arrive in the afternoon. You would have woken up extremely early, boarded a plane, endured a long transfer up to the mountains, got yourself kitted up, only to squeeze in maybe 2 hours of skiing before the light fades. This is probably the worst thing you could do! Wait until the following morning until you are refreshed from a good night’s sleep and then head off to the slopes. In addition to this, try and prepare yourself physically before you go. This means doing some form of exercise for at least 6 weeks before, at least 2-3 times per week, to improve your cardiovascular fitness and your muscular strength. Work on strengthening up your thigh muscles (quadriceps), to support and stabilise your knee as much as possible. The knee has many ligaments, but the design of this joint is poor and hence requires strong quadriceps to stabilise. Many knee injuries occur whilst skiing so to try and avoid them. If you require any advice on how to strengthen and prepare yourself physically for this hobby, come and see one of our highly-experienced physiotherapists who will assess your muscle strength and prescribe you a tailored exercise programme.